Please note: Due to the fact that contracts have not officially been signed on this property we are unable to provide photos or an address until a later date. Williamstown is one of Melbourne’s many favourite beachfront cafe hotspots, and arguably the west’s prettiest suburb. But what else is it about this town that captures the hearts of visitors and keeps locals in the town for decades? Willy (as the locals refer to their hometown lovingly) is ten train stations from the CBD and is in a zone one region. The commute time for this 9km journey from the CBD remains within the half hour, and the line is Melbourne’s shortest. Willy features three train stations; Williamstown North, Williamstown and Williamstown Beach. Each little pocket has its own flavour but the overwhelming commonality is that this maritime suburb boasts a history like no other part of Melbourne. Port Gellibrand (the original name given to the area) was mapped in 1803 and recognised as a valuable location at the mouth of the Yarra River. Later on at the helm of John Batman, the area was coined for development and port potential, and was renamed Williams Town after the English monarch. Accordingly Gem Pier was built with rocks by convicts and formed part of the 100-building development which is now recognised as Nelson Place. Visitors still flock to Williamstown on a hot day, a sunny spring day, a bitter winters day, and all days in between. Hence, Nelson Place is linked together by gift shops, cafes, pubs, restaurants, galleries and boutiques, and has a spirit like no other part of Melbourne. The street brims with tables and on a hot day, the lines for the ice creameries stretch out past the front door and the grassy area on Nelson Place is home to Sunday markets, picnic spots and wartime displays. But then again, forgetting Ferguson Street’s and Douglas Parade’s array of wonderful high street shops would be a shame. This T junction of shops offers locals every opportunity to find whatever they need without venturing outside of their beloved postcode. From travel to toyshops, from chemists and hardware, there is nothing a local shopper cannot find in Williamstown. However, my favourite part of Willy is the southern beach which fronts Port Philip Bay. On a hot day the tiny stretch of sand offers relief to the inner west’s hoard of beach-goers, and on a cold winter’s day the roaring southern winds greet the most daring of visitors with a crisp reminder of our Antarctic gusts. Watching the ships rolling in, one after another is a sight to behold, and a short walk to the botanical gardens is a happy indication that this township offers something for everyone. When a double storey townhouse came up for sale in an eighties development off Nelson Place, I wasted no time in exploring the listing. Peach and grey hues, plastic kitchen cupboard handles and red-tone external bricks ‘screamed’ my childhood era. Yet, the two bedroom, large open plan living/dining upstairs-downstairs layout was one I couldn’t go past. This single garage, two car space townhouse with courtyard was a perfect shell; the ultimate canvas for my client’s brief and it represented great buying. Every Nelson Place restaurant is within easy walking distance and commuter tenants can amble to the station within five minutes. The target tenant for my client’s property is someone who loves the beach and the city proximity. The lucky tenant will favour having restaurants within easy walk distance and if they must regularly commute the 9km trip into the CBD will be a breeze. 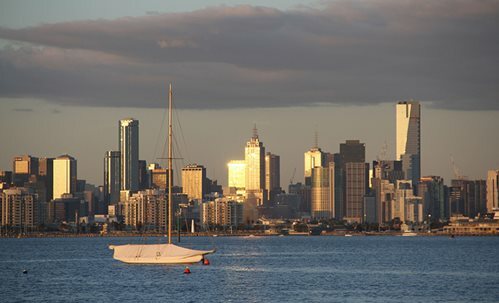 Williamstown is one of my favourite suburbs of Melbourne and is hard for anyone to dislike. 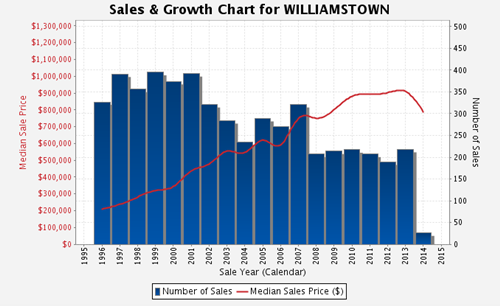 For more information about Williamstown, read our suburb profile here. How to Spend an Hour in… Williamstown Finding Great Buys in Altona Frankston – The Beachside City With Plenty to Offer Mornington is a Highlight on the Peninsula Beautiful Art Deco Apartment in Hampton… Off-Market! Cate Bakos is an independent buyers advocate and qualified property investment advisor and has proudly been a property investor for 17 years. Cate has a Bachelor Degree in Chemistry (Hons), Certificate 4 in Property Services (Real Estate), a Certificate 4 in Financial Services (Mortgage Broking). She is also a licensed real estate and a Qualified Property Investment Advisor accredited by Property Investment Professionals of Australia (PIPA). Do you know what’s happened to Nelsons restaurant? It has a for lease sign in the window. Such a shame it was the best little place on the foreshore.